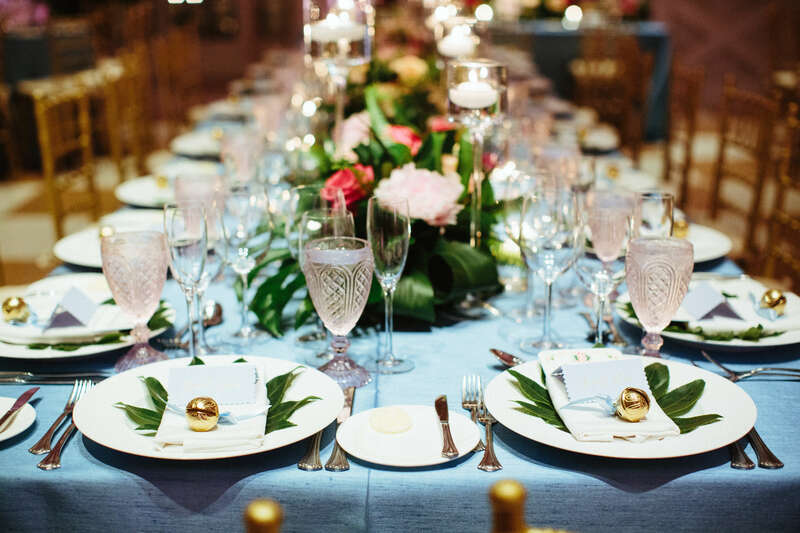 Ainsley and Dominic’s wedding this past December at The Breakers in Palm Beach was one out of our Lilly Pulitzer dreams! 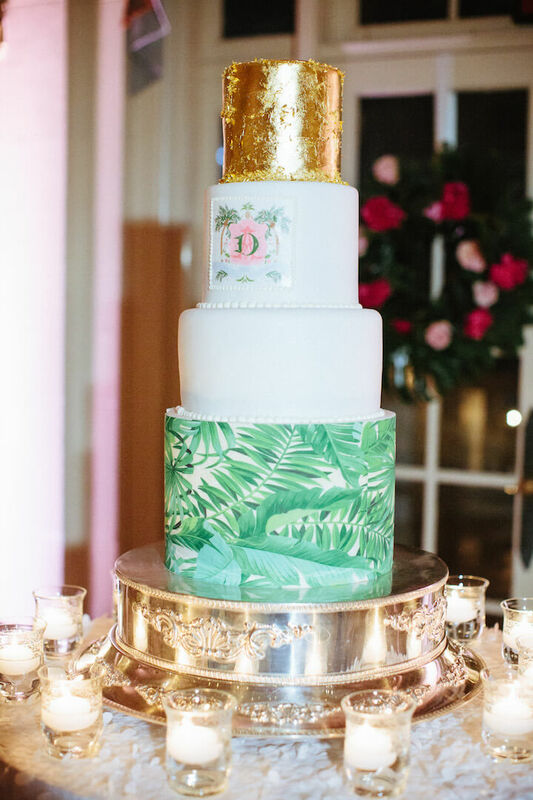 Their wedding logo started it all, and encompassed Christmas lights, a two letter monogram, and was flocked by palm trees! 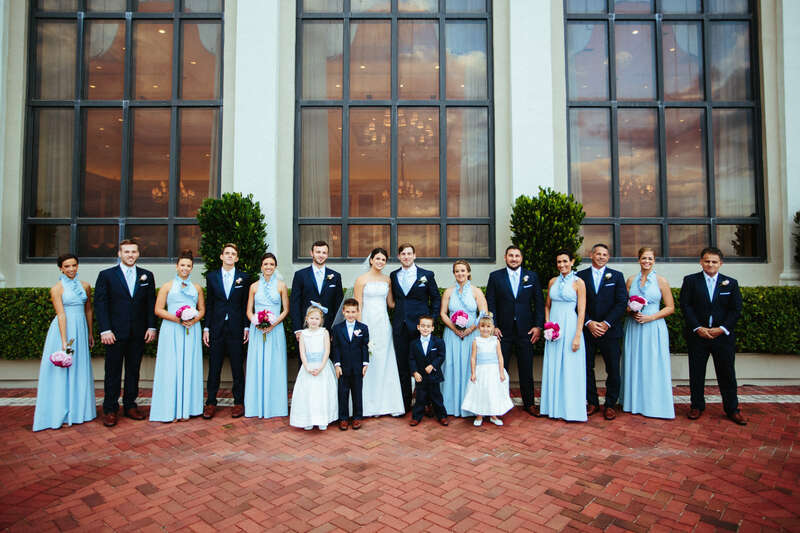 The engraved wedding invitations were sent in a custom designed folio which had a gorgeous floral pattern inside, and were die cut and beveled, with edge painting in baby blue! 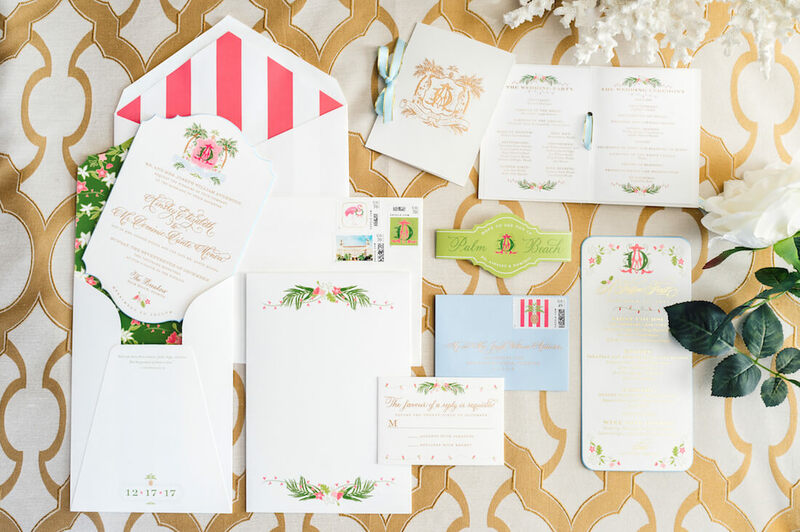 One of our absolute favorite elements was the die cut belly band that wrapped around the reply envelope and reply card, reading “See you in Palm Beach! XO, Ainsley and Dominic”. It was such a unique and personal touch! The wedding logo was used to brand the entire event,…just the way we like it! 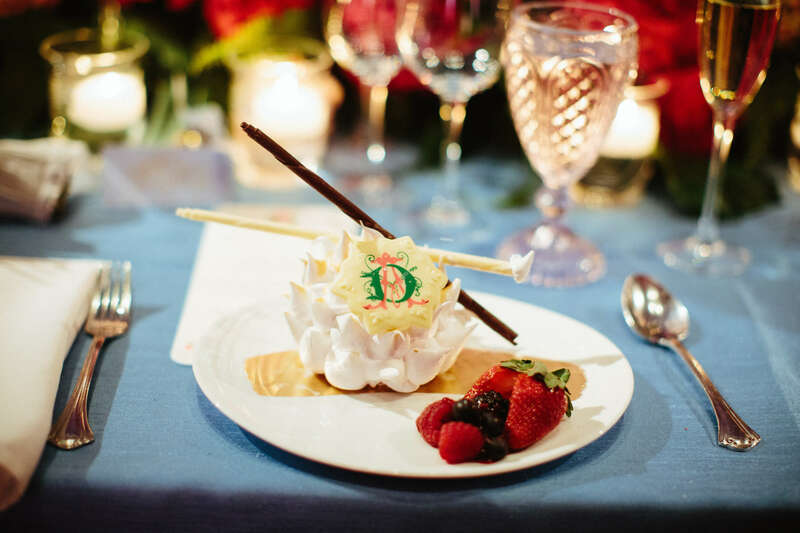 From the Palm Beach wedding welcome bags that each guest received upon check in, to the custom desserts made by the catering team at the iconic Breakers hotel, it flowed together beautifully and made for one stunning soiree! 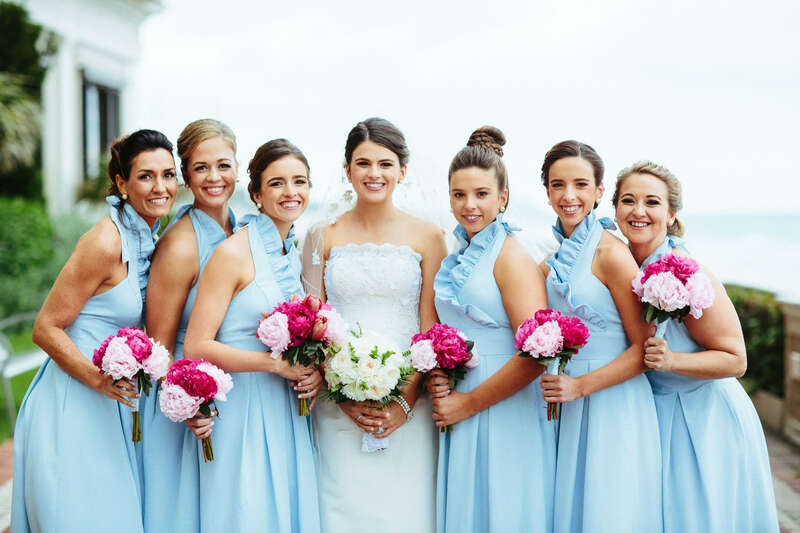 For more of this colorful Palm Beach wedding, you MUST visit their entire gallery. It is one for the books for sure!